Phil Stratford, the californian GP2 driver came all the way from the pacific coast to Monza to participate at one of his favorite tracks for the third BOSS GP race weekend. He already indicated in race 1, that he felt comfortable and motivated this weekend to claim a podium spot for himself. While finishing P7 in race 1, his pace and lap times were already quiet promising and he finally showed all fans a feisty race 2 and fought from his starting position 7 to P3, a pretty well earned podium for him. The long trip definitely paid off and he will take a valuable Monza trophy back home to the west coast! With his third win in a row Johann Ledermair (AUT) seems to be the current benchmark in the BOSS GP series. A sovereign wire to wire gave his direct rival Jakub Smiechowski (POL) no chance to take home a winner trophy from Italy. The Polish pilot again finshed P2 and tries to stay connected to the Austrian leader with a gap of 14 points after both Monza races. Florian Schnitzenbaumer (GER), still P3 in race 1, could manage to leave the first chicane after the rolling start on his starting position P3 and got later on confused by a marshal signal with his number on. 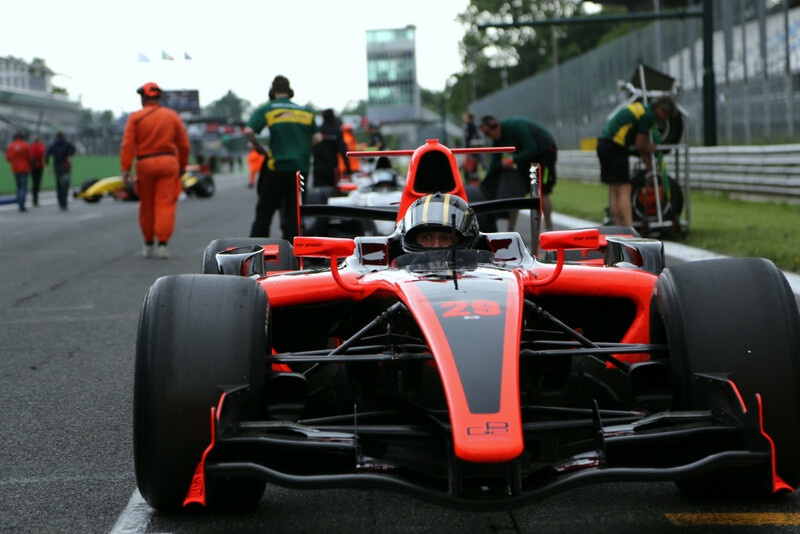 He had the impression, that a stop and go penalty was declared and entered the pit lane. Unfortunately the signal was not ment for him, so he left the pit lane again but lost quiet a lot of positions and ended up finishing on P7. Overall still a very successful weekend for him as he climbed up on the series ranking from P5 to P3. His Top Speed team mate Wolfgang Jaksch (GER) was able to leave the mishap from race 1 behind and he showed a very brave and exciting race catching up from starting position 14 to finally P5! He earned enough points this weekend to elevate from P7 to P5 in the current championship ranking. Veronika Cicha (CZE), the female power of BOSS GP, seems to be the consistency in person. 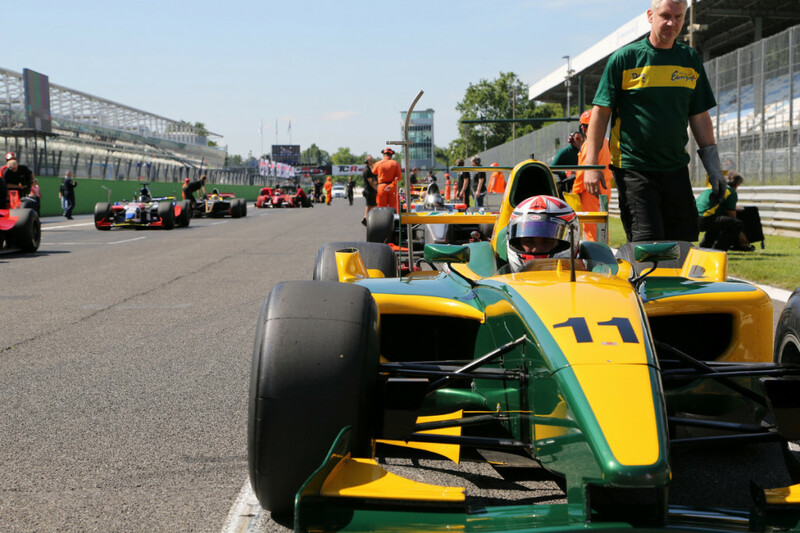 She finished also race 6 of her still young career in a GP2 formula car and gained three positions in the second Monza race. She passed the checkered flag on P9 overall and climbed on overall P7 leaving already 11 male pilots behind her in the current ranking. Her development in this male-dominated series is astonishing and we can definitely expect further improvement in the upcoming races. Probably the most unlucky driver this weekend was Armando Mangini, the Italian hometown boy. After finishing race 1 on Saturday in 5th place, he threw away his second race on P3 as he spun out towards the end of the race in the second chicane and was not able to restart the car. The same misfortune overtook Jens Renstrup (DEN), who lost control over his GP2 in the ‘Parabolica’. Luckily he could manage to go back on track and got still classified on P9. A surprising performance was given by the Dutch driver Henk de Boer. He could convince the crowd already in race 1 with a steady 6th place and he even improved this result in race 2 with an outstanding and faultless race finishing 4th. 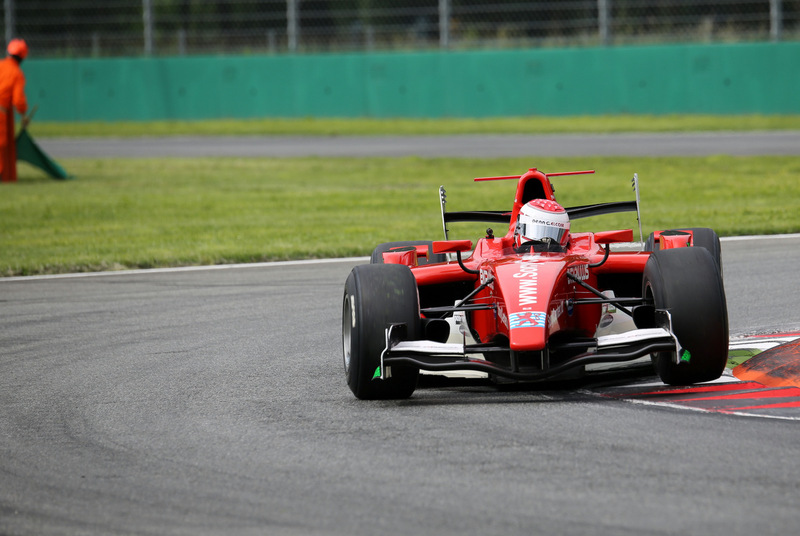 Another consistent effort was shown by the Swiss driver Christian Eicke. He gained overall 19 points this weekend and demonstrated his best personal achievement in this season so far. 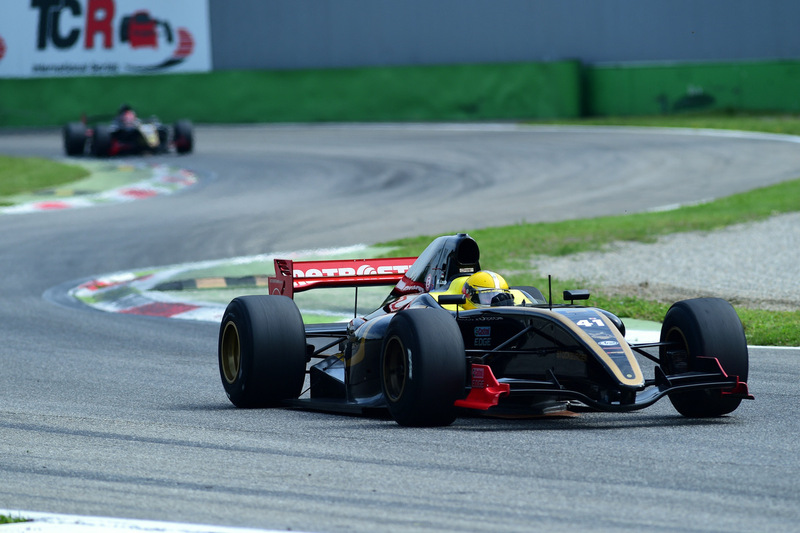 The MASTERS class in Monza was dominated by the German experienced player Hans Laub. He was simply invincible this weekend and won both races without any doubts. 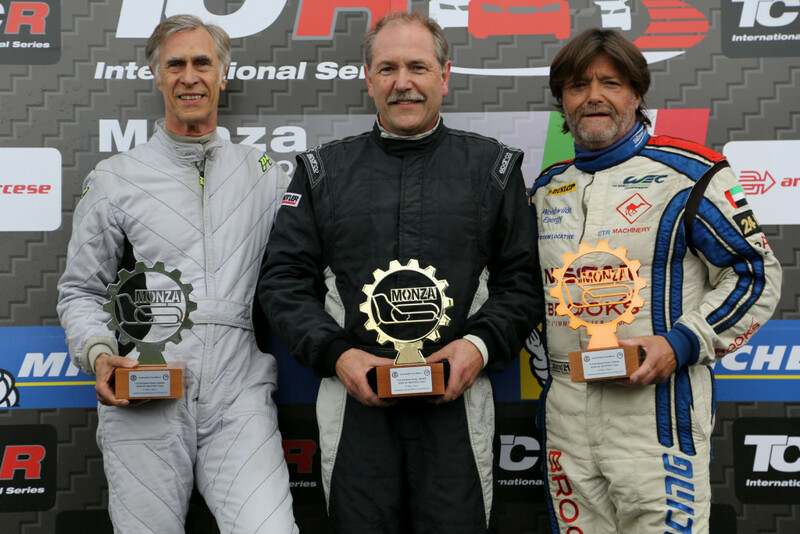 Karl-Heinz Becker (GER), his closest rival for the Championship, on Saturday still on P4 climbed on the podium in race 2 finishing 2nd, Walter Steding earned another podium spot on the Sunday race with P3. 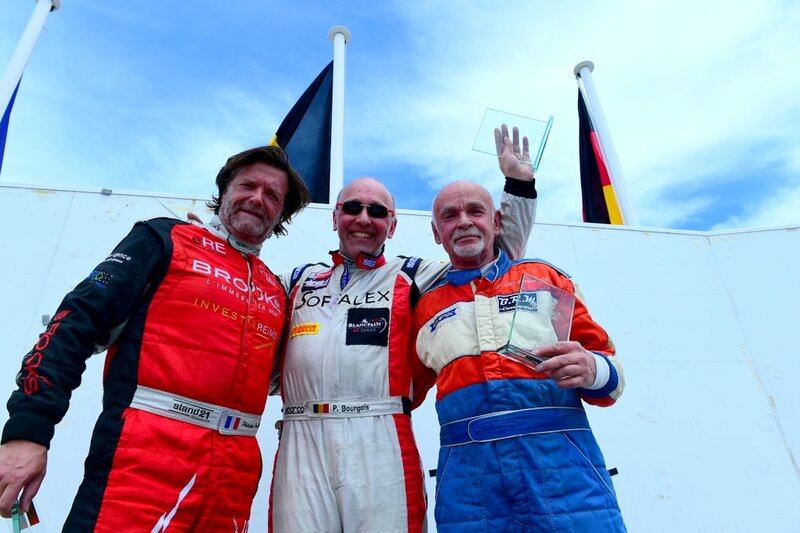 The classement was completed by Wolfgang Jordan (GER) on P4, Philippe Haezebrouck (FRA) on P5 and Martin Kindler (SUI) on P6. Stay tuned for the next BOSS GP race weekend!! The races will take place in Zolder/Belgium on the occasion of the spectacular Syntix Superprix event, June 21st! After a quiet nice and sunny day in Monza, the weather god created some confusion right at the beginning of the BOSS GP Race 1. Whereas the formtion lap could be still finished in dry conditions, the rolling race start faced rain drops in some of the sections of the track. The safety car therefore kept being on the track for two more laps in order to control the tricky situation. As the rain did not get stronger the race could be declared and finally started in almost dry conditions. The polesetter Johann Ledermair (AUT) set the pace right after the start and controlled his leading position during the entire race. The polish contender Jakub Smiechowski was not able to put ongoing pressure on Ledermair even if he set the fastest lap in the race. He finished safely on P2 followed by the newcomer Florian Schnitzenbaumer (GER) from Team Top Speed. The German pilot earned the first podium with his GP2 already on his third race weekend. Ingo Gerstl again utilized race 1 to perform some installation laps out of the pit lane with his Torro Rosso STR1 and he feels confident, that he will soon find the correct setup and performance to compete over a race distance. The incredible speed and sound of this car created so much excitement among the spectators and guests of the BOSS GP organization. Jens Renstrup (DEN), who was also very stable during the Friday and Saturday sessions finished P4. The Italian driver Armando Mangini confirmed again his exceptional performance from the two free practices and the qualifying session and finished P5 followed by Henk de Boer from the Netherlands. He might be a bit dissapointed to not reach the podium on his home race, however his pace and consistency was remarkable. Wolfgang Jaksch was again unlucky this race as the water temparature in his GP2 dropped down right after the rolling start and he needed to make a pit stop after a very slow lap one to reset the failure. He kept going and even, if he was already outlapped twice, he was able to become classified on the last position with the 5th best lap time of the race. Veronika Cicha (CZE) started the race from P14 and could again gain two position finishing on the 12th position. It was the fifth time in five races, that the only woman in BOSS GP not only finished another race but furthermore left again some of her male opponents behind her. Her trend of closing the time gap to the faster guys in front of her is truely visible, her race speed is increasing step by step and her consistency is a big surprise. She alredy benefits from collecting ongoing experience with head to head fights after competing for the last 4 years of consecutive hill climb racing. The MASTERS class was again dominated by the German pilot Hans Laub followed by Walter Steding (GER). The podium was completed by Philippe Haezebrouck (FRA). Karl Heinz Becker, always a candidate fort he podium was also affected by some technical problems and was not able to reach a podium spot in Race 1. 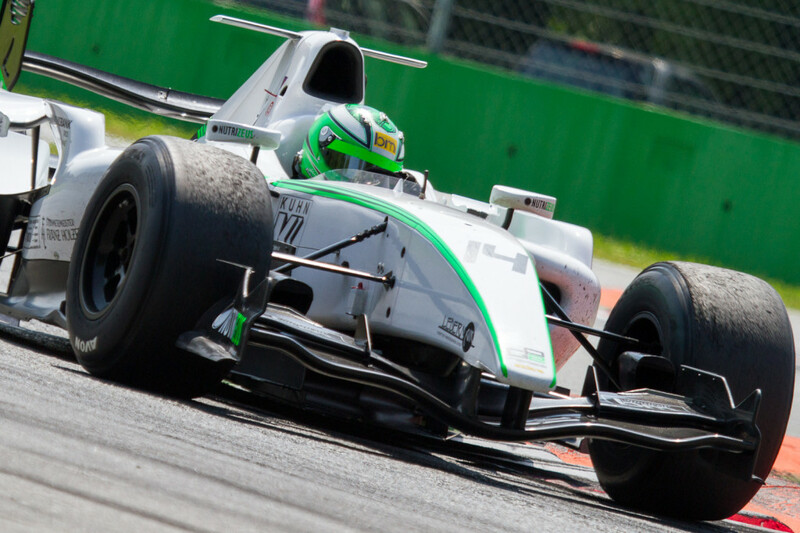 Ledermair again caught the pole in Monza! 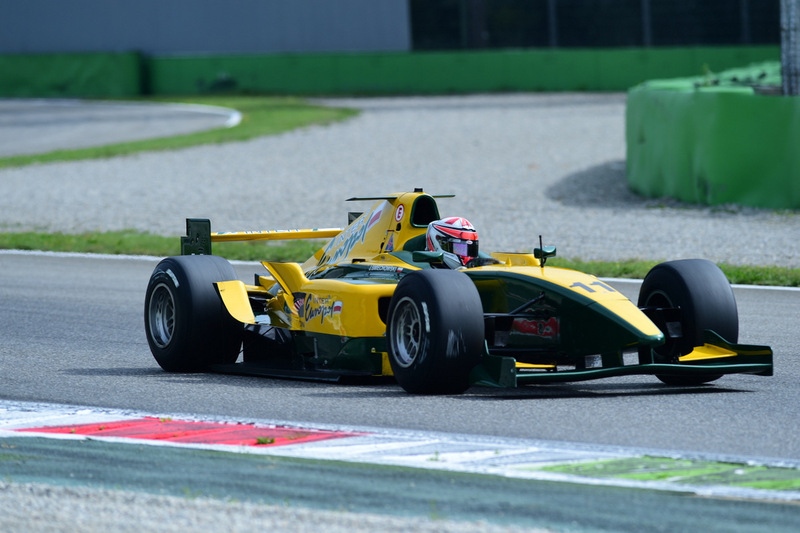 The saturday qualifying session of BOSS GP was accompanied by perfect weather conditions at the Royal Park in Monza. Johann Ledermair, the current leader in the series, again confirmed his current „run“ and outperformed his follower Jakub Smiechowski (POL) by 2,4 sec in the newly established qualification format. The first 5 from the 2 free practice sessions on friday exclusively reserve the first 10 minutes of the 30 min session for their fast lap attempts. After a 5 min break the rest of the field gets a window of 15 minutes to fight for their best position in the starting grid. Ingo Gerstl (AUT) did his roll out premier with his Torro Rosso STR1 and was at least able to complete 1 fast lap and finished 3rd with a gap of 4,2 sec. However he drove with limited RPM`s and faces still lots of challenges to find the right setup. Florian Schnitzenbaumer (GER) also confirmed his upword trend and starts from P4 with 1:37,474, 1,017 sec behind the Torro Rosso from Ingo Gerstl. P5 went to the local hero Armando Mangini, who surprised the fans with a very competitive 1:39,635. Jens Renstrup will start from P6, 0,296 sec behind Mangini, followed by Henk de Boer (NED) and Wolfgang Jaksch (GER, who were just 95/1000 apart from each other. Phil Stratford, who came all the way from Los Angeles to participate in this Boss GP race weekend, will start the race from P9 with a time of 1:40,147. P10 goes to Christian Eicke with 1:42,092. The fastest of the Master Series was again Hans Laub with his Renault Wolrd Series 3.5. He will join the race from P11 with a fastest lap of 1:42,732. Karl Heinz Becker is just behind him followed by Walter Steding and the only woman in the Boss GP series, Veronika Cicha. Martin Kindler, the swiss pilot follows with 1:44,122 and Philippe Haezebrouck closes the starting grid from P16 with 1:44,133. Wolfgang Jordan was unlucky, his clutch blew off and he could not finish a fast lap. 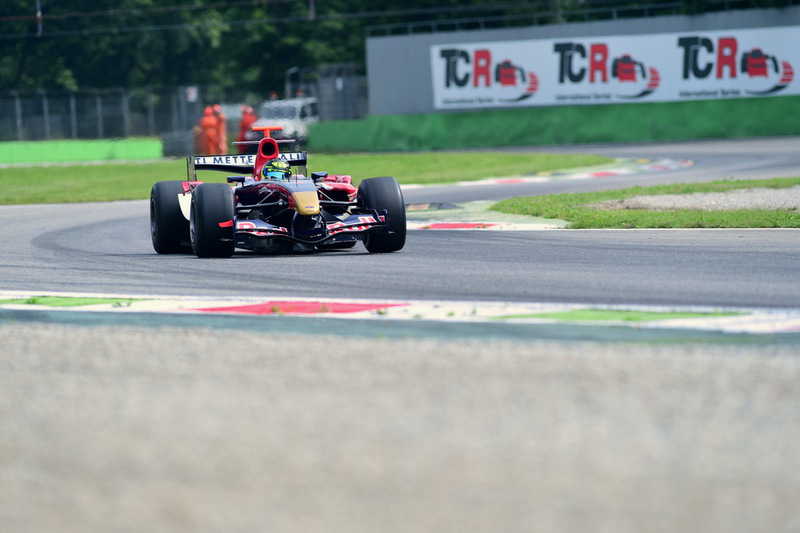 BOSS GP returns to the Royal Park in Monza! 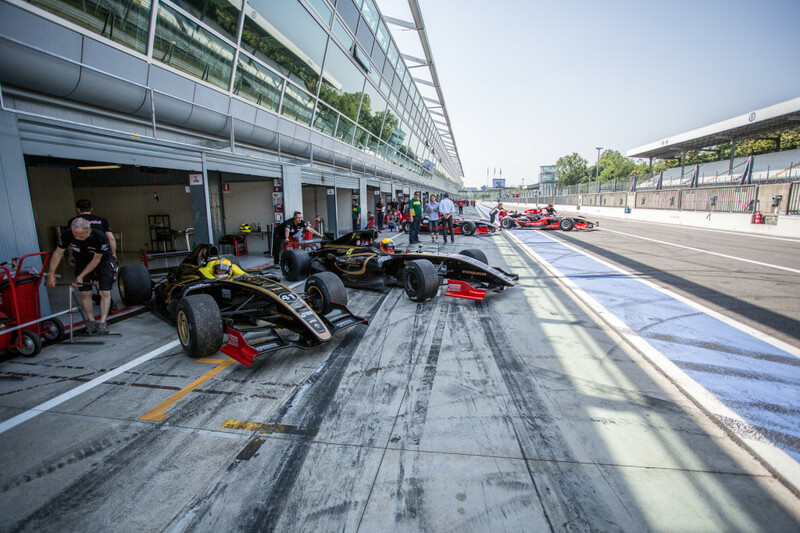 Since many years the upcoming BOSS GP race weekend at the famous and legendary F1 track ‚Autodromo Nationale di Monza‘ is on the event calendar of Europe`s fastest FIA approved Formula series. The fast and exciting natural circuit in the midst of Monza with its long straights, hard breaking zones before the chicanes and the long, open turns with extremely high lateral forces serves as the perfect playground for the F1, GP2, F3000 and Renault World Series 3,5l formula cars with it`s powerful engines and the extreme down force capabilities. All fans will again witness spectacular two races and ongoing positioning fights between the leaders and followers in the three classes the BOSS GP series is divided. Johann Ledermaier (AUT), the current leader of the main classement will try to defeat his top position against his direct pursuer and last years BOSS GP Champion Jakub Smiechowski (POL). Ledermaier is surely high motivated and feels confident to show a good performance after his amazing results at Paul Ricard/Le Castellet. Jakub Smiechowski lies in wait for his chance to win his first race this year. Some of the new drivers, who joined the series this year, will face the circuit for the first time ever while others are returning pilots with experience. Florian Schnitzenbaumer (GER) is feeling more and more comfortable with his new GP2 and he became faster and faster with every free practice, qualifying and the last two race weekends in Hockenheim and Paul Ricard. His tendency and personal motivation is surely facing towards the podium. Wolfgang Jaksch (GER), the second newcomer in the BOSS GP series had a promising premiere in Hockenheim with starting in both races from the third row and finishing both races on P7. Unfortunately he could not confirm this upward performance at Paul Ricard. The new and unknown track in combination with some technical problems influenced his confidence and he was not able to improve his positions in Le Castellet. For Monza all looks again positive and we will see, how he can handle the situation this weekend with another new track. The one and only woman in BOSS GP ever, Veronika Cicha (CZE), positively surprised all fans and critics with her performances during the first two race weekends in Germany and France. Coming from the European hill climb scene, where she competed the last 4 years with all the European professionals and finishing last year as the fastest Woman and 9th overall in her class with a Mitsubishi Evo VIII WRC, the adventure BOSS GP with a high powered GP2 formula car brought up some doubtful statements from the observers of the formula racing world. However, already in Hockenheim she put all the scepsis to bed and was fighting in both races within the midfield. She conquered even her first ever experience at the difficult and blind circuit in Le Castellet and again finished both races in the midfield without making any mistake. The entire Team Top Speed is already truely proud and more than happy to have the first woman ever in BOSS GP in their team and we all can expect a highly motivated and focused woman challenging her male opponents again in Monza. The current leader in the Masters Class, Karl-Heinz Becker (GER) faces again a pole fight with his direct follower Hans Laub (GER) while drivers like Wolfgang Jordan (GER), Martin Kindler (CH), Walter Steding (GER) and particularly Philippe Haezebrouck (FRA), who showed an amazing racing performance in Le Castellet, are looking forward to give the two leaders a hard time. 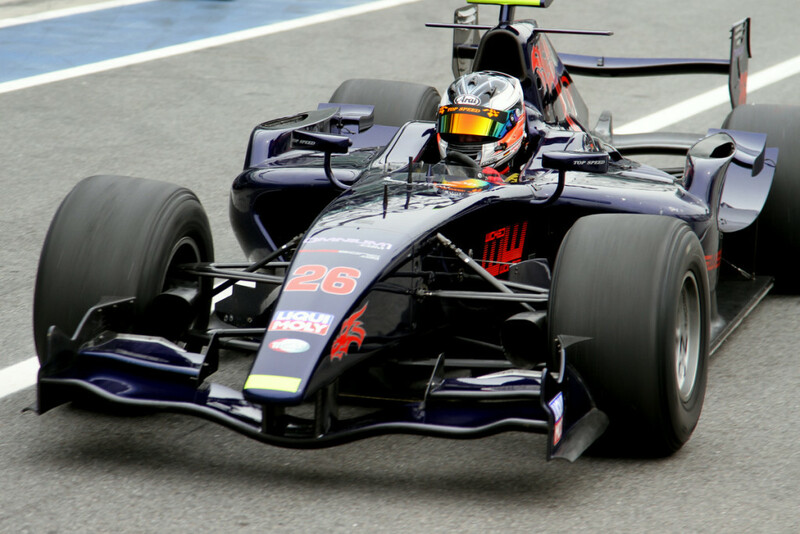 Ingo Gerstl (AUT) from Team Top Speed, one of the fastest and most experienced BOSS GP pilots, announced, that he is planning for the first time to leave his GP2 in the garage and tries his first roll out in Monza with an original F1 Toro Rosso STR1. The high performance F1 model from the 2006 season was not only the fastest and most powerful spec car ever built, it will furthermore and definitely impress all fans at the spot with its incredible sound, created by a original Cosworth V10 power train. We are looking forward to another exciting, fascinating, thrilling and in the same time safe and sound racing weekend with the real and pure racing performance of BOSS GP! Johann Ledermair (AUT) surprises the European racing world! 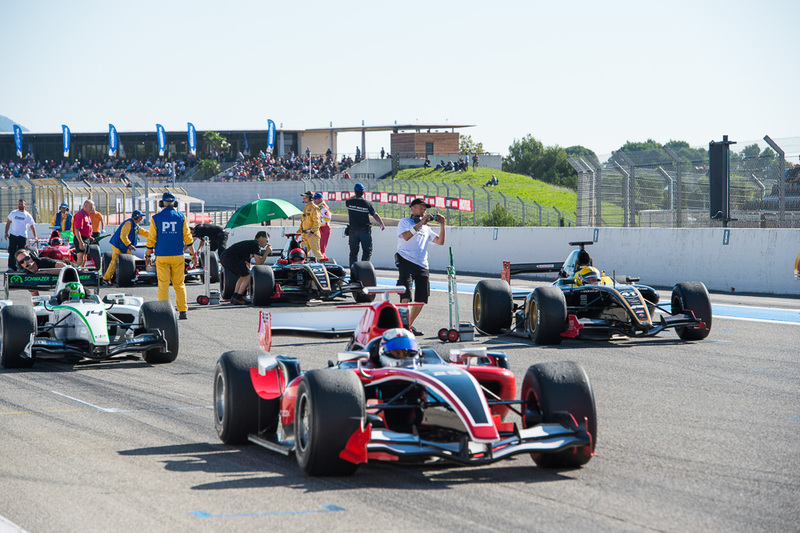 The 2nd race of BOSS GP at the circuit of Paul Ricard elevates one of the fastest and most spectacular Formula racing series in Europe to the next and well earned level. For the first time in history of BOSS GP a Pro Am GP2 driver beats an established professional pilot in an official race! The current Austrian leader of the Formula Class Johann Ledermair won the battle for the win in an incredible and exciting fight against the former GP2 pilot Stephané Richelmi, winner of the official GP2 Monaco Grand Prix in 2014. Richelmi assigned for the race weekend as the track in Le Castellet is close to his home and the Blancpain series, which he joined this year in the sprint and endurance class was not racing this weekend. The Monaco resident started from P1 followed by Ledermair and the Polish 2014 BOSS GP Champion Jakub Smiechowski. All three drivers were fighting the first half of the race with almost no mercy and the distances between their 3 GP2`s was barely not more than one car length. Unfortunately Smiechowski could not keep up with the pace of the two others and lost second by second towards the end of the race. He managed to bring his car home on the podium with P3. It was Richelmi, who still lead the race 2 laps before the checkered flag. Ledermair was lurking in his slipstream and tried to confuse Richelmi with several attempts to change the lines. In the last corner before the last lap he finally surprised him as he suddenly went inside the curbs and gained a small advantage for the exit of this slow right corner. He passed him „on the brakes“ with this brilliant manouver and was able to defeat his 1st place during the last lap finishing 1,5 sec. ahead of Richelmi. What an exciting and outstanding race! 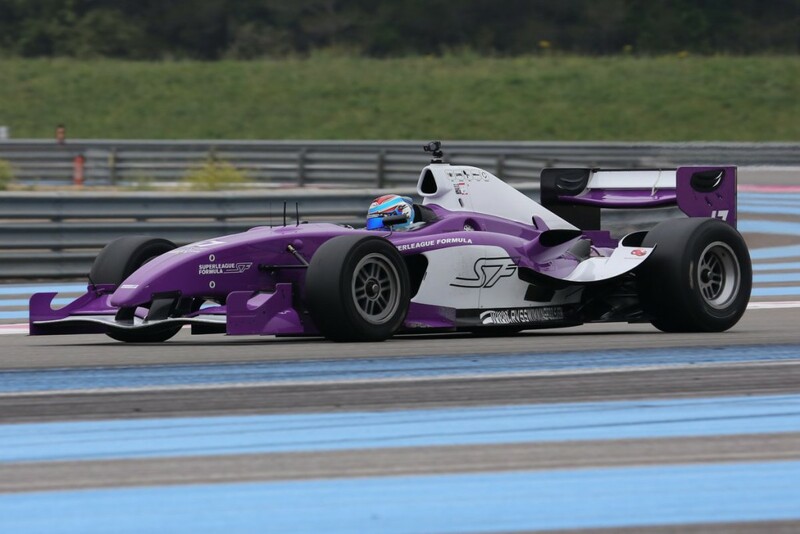 Another great performance showed Christopher Brenier with his powerful yet heavy V12 Superleague Formula car. 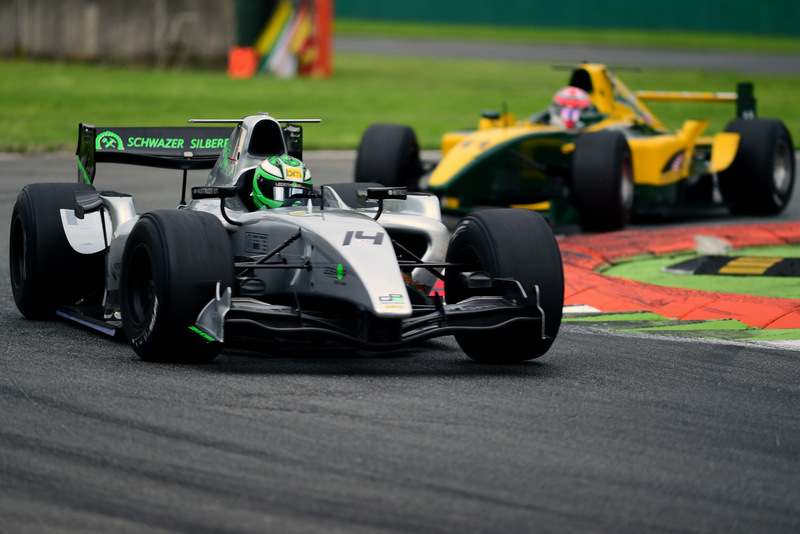 The French driver was again the only pilot who could break in the phalanx of the GP2 cars with P4 at his home race. David Moretti finished in a very good fifth place followed by the Dutch routinier Henk de Boer, who finally had his first clean race without any issues with his car. 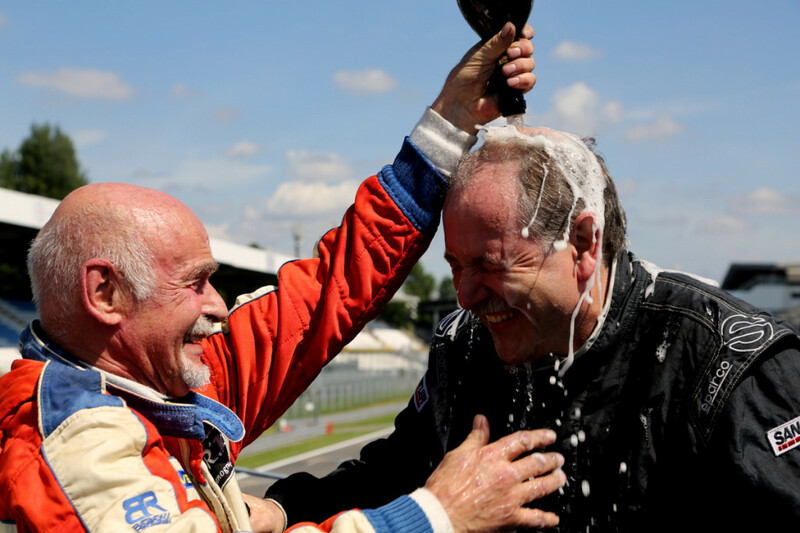 ‘Tintin’ won the MASTERS Class with an overall 7th place followed by Philippe Haezebrouck, who performed a remarkable race with his lower powered Lola B02/50 F3000 and deserved a podium place in the MASTERS Class. Karl- Heinz Becker again reached a podium spot as well. Florian Schnitzenbaumer (GER), starting the race from P5 parked the car in the pits due to an electrical failure and could not classify himself. Wolfgang Jaksch (GER) again could not start from the grid as the team was working till the last minute to get the engine problems fixed which accompanied him the whole race weekend. He started out of the pit lane and surprisingly became faster and faster with every lap. He finally overtook almost half of the entire field and finished the race on P9. The only woman in BOSS GP, Veronika Cicha (CZE), showed again, how fast, consistent and focused a female driver can be with such strong formula cars as she left 6 men behind her and finished bravely on P12. She was unfortunately affected by some boarderline defending manouvers from the French Bruno Navarrete, who was still classified one place ahead of her – even if he cut the mistral chicane in the last lap during an hard infight with Veronika. The two Germans Hans Laub and his direct opponent Wolfgang Jordan could not finish as they were involved in a race accident in the early part of the race. Gilles Brenier (FRA) had to park his Superleague Formula as well in the pits with hydraulic problems after just a few laps. After only two race weekends with already 30 participants, the 2015 BOSS GP series develops itself to a high level, exciting and spectacular European racing series with all the sound, power, high speed and pure driving style, which many of the other race series are not able to deliver anymore. All BOSS GP teams looking forward to Monza in only three weeks time. 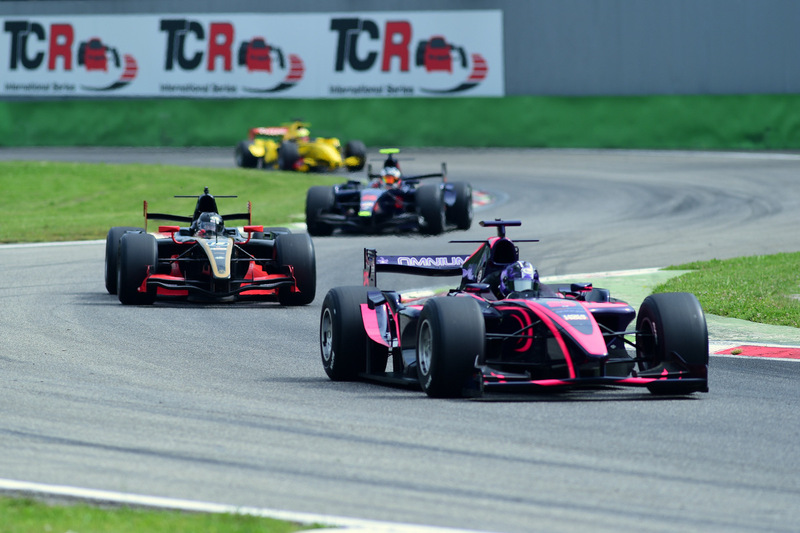 The legendary high speed track in the Royal Park close to Milano will be a perfect playground for all these fast, powerful and noisy F1, GP2, Worldseries by Renault 3.5 and F 3000 cars, which most puristic racing fans are already missing so badly in the racing universe. Fabulous and encouraging fight in Race 1 between the first three pilots on the grid! 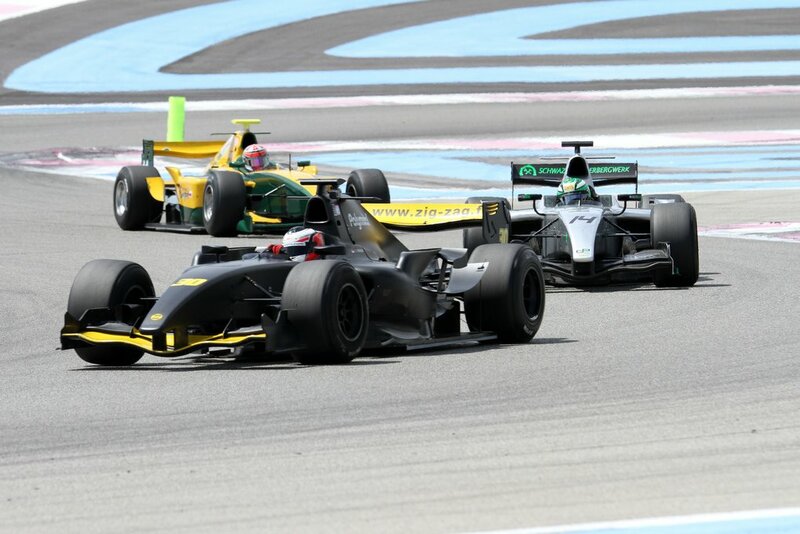 The first BOSS GP race at Paul Ricard exceeded all expectations of all Formula racing fans and spectators. Right from the start the first three pilots from the qualifying Johann Ledermair (AUT), Stephane Richelmi (MC) and Jakub Smiechowksi (POL) were fighting rigorously for P1. Several overtaking manouvers lead to position changes between the three rivals. It was finally Richelmi, who took the bull by the horn and overtook Ledermaier three laps before the end of the race. 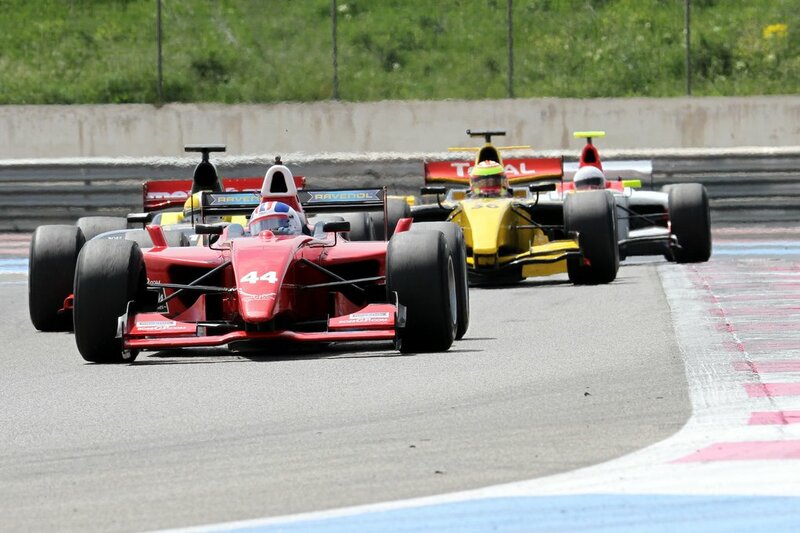 His experience helped him to control the rest of the race from P1 and win the race with a gap of several seconds. Ledermaier however also showed a very steady and convincing perfomance and finished 2nd leaving Jakub Smiechowksi on third position. 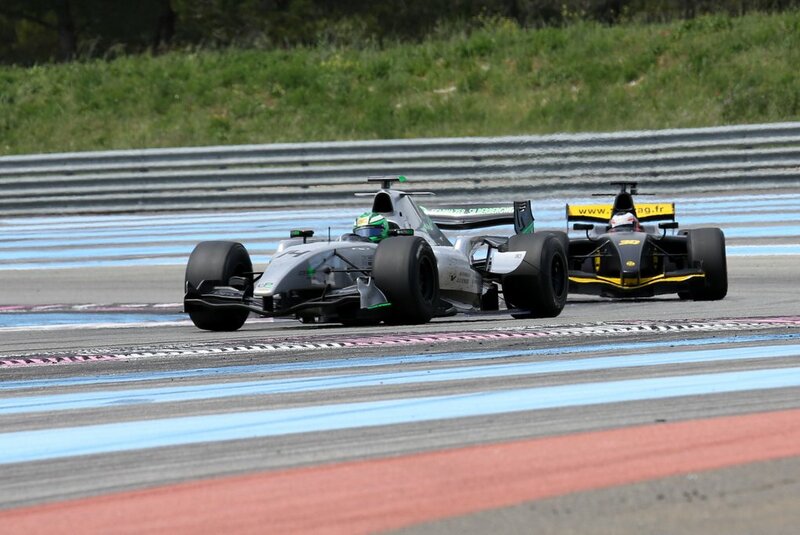 The french driver Christopher Brenier finished 4th with his 12-cylinder Superleague Formula. P5 went to the German newcomer Florian Schnitzenbaumer, who overcame his disappointment from the practice sessions and controlled his position from start to the end of the race without risking too much. Winner of the MASTERS class ‘Tintin’, followed by Hans Laub, who confirmed his very good performance from the practice sessions and the qualifying. Karl-Heinz Becker completed the podium in this class. Again unlucky was Wolfgang Jaksch, who started from P6. Problems with the fuel pump forced him to drive with much less power and he lost position by position with his GP2 and finally had to stop his car 2 laps before the end of the race in the pits. See complete results and gallery here. Big surprise at the BOSS GP Qualifying in Paul Ricard! 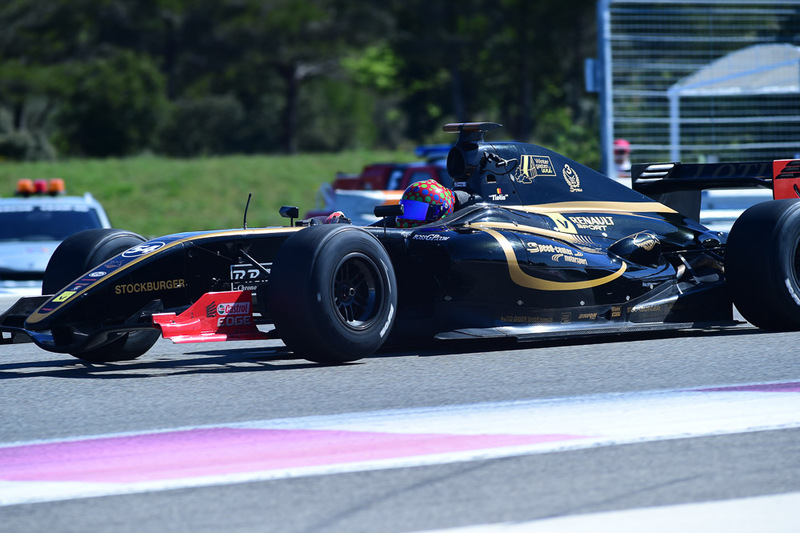 The qualifying session of BOSS GP at Paul Ricard ended with a big surprise. Johann Ledermaier catched the pole and left the former GP2 Pro driver Stephane Richelme behind on P2. Ledermaier nailed a 1:49,524 in the asphalt and Richelme followed with a 1:50,556. 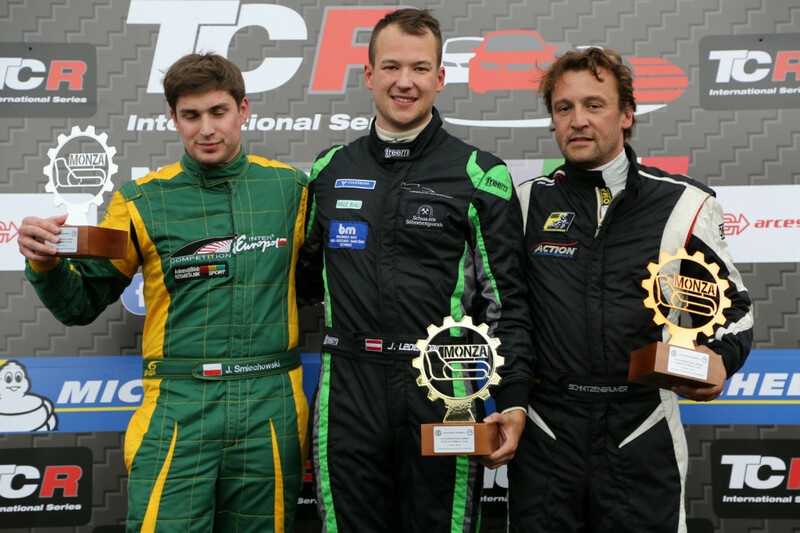 P3 went to the polish driver Jakub Smiechowski followed by Christopher Brenier (FRAU), Florian Schnitzenbaumer (GER) and Wolfgang Jaksch (GER) on P6. 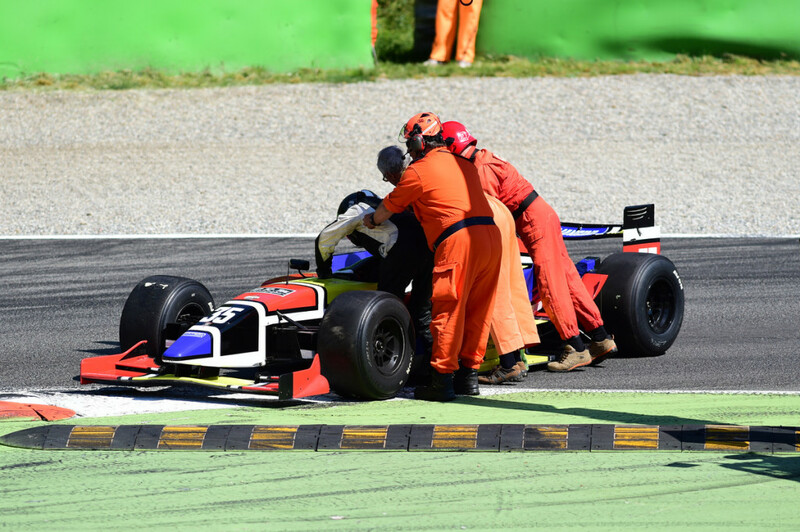 Wolfgang Jaksch was not able to improve his lap time due to technical problems with his GP2 (fuel pump). The fastest lap time of the MASTERS class was driven by „Tintin“ from Belgium with a 2:01,494 followed by Karl-Heinz Becker and Hans Laub. The first woman ever in BOSS GP, Veronika Cicha from Czech Republic again improved her lap time compared to FP3 yesterday and finished P11. All drivers looking forward to an interesting and challenging race here at Paul Ricard, the weather forecast is excellent and the positions on the starting grid promises a tough and very physical race for all pilots. 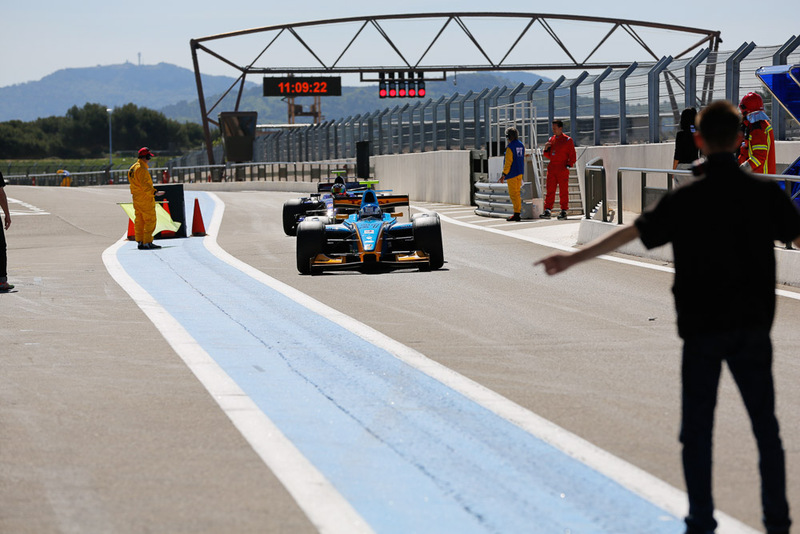 The first free practice of BOSS GP at Paul Ricard HTTC/Le Castellet on Friday noon served as a first roll out for most of the accredited drivers. The difficult track is quiet challenging for all pilots, who were never driving on this very fast yet safe race track. 12 out of 22 cars left the pitlane and tried to get familiar with the conditions and the lines of the various corners. 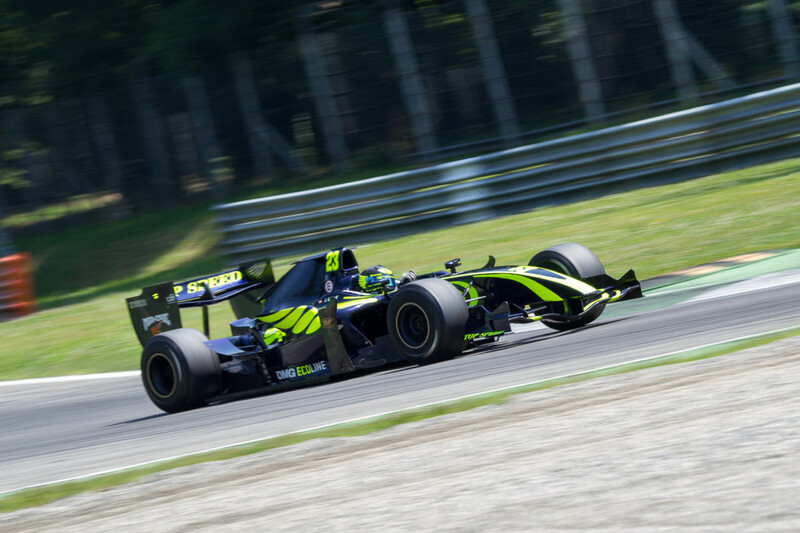 The best lap time was performed by Stephane Richelmi, who joined the BOSS GP race weekend with his Dallara GP2. Stephane, who knows the track very well and drove in the official GP2 series for the last two years, set the pace with his fastest lap time 1:51:980. Johann Ledermaier, one of the favourits of the title in the Formula Class finished 2nd with 1:55:138. Christophe Brenier, the french local pilot, finished 3rd in 1:56:186. The newcomers Veronika Cicha, Wolfgang Jaksch and Florian Schnitzenbaumer used the first practice to learn the track and adopt to the conditions. A first indication of the expectations for the qualifying on Saturday might be shown during the 2nd and 3rd free practice which take place today in the afternoon. FP 2 was dominated by the weather conditions. Light rain started falling about 15 minutes before the start of the practice and due to the critical and slippery conditions not all cars and drivers decided to leave the pit lane. However 15 cars finally went on track and completed several laps. Some drivers went out with rain tires, some started the session on slicks. The track appeared slippery but not totally wet. Unfortunately the lap timing did not work correctly and we are not able to summarize the results. FP3 in the late afternoon should definitely give us a benchmark for the saturday qualifying as the rain might stop and the drivers could go out in fair and dry conditions. Finally FP3 could be started in dry and fair conditions and 18 cars left the pit lane immediately after the green light. 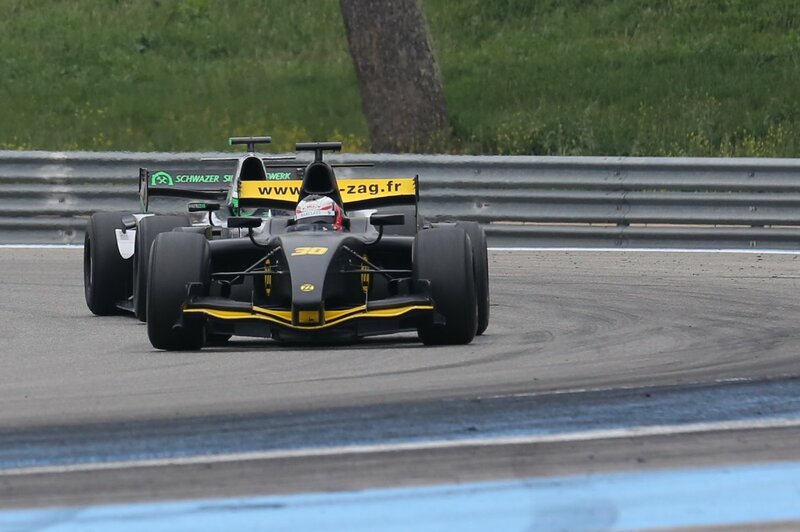 It was again Stephane Richelmi, who showed all other drivers which fantastic time a Dallara GP2 is able to deliver at Paul Ricard. In 1:49,524 he set his best lap with an average speed of 192km/h. In second position Johann Ledermair manifested his ambitions to become the fastest non professional driver within the BOSS GP group. He performed very well and improved his lap time comparing to FP1 and FP2 to 1:54,046, followed by Jakub Smiechowski (POL) and the local hero Christopher Brenier. On 5th position Wolfgang Jaksch was classified, who also made a huge jump in his lap time comparing tot he morning session. Veronika Cicha, the only woman in the group also improved her times a lot and ended up on P11 out of 18 classified cars. It was Florian Schnitzenbaumer who unluckely had to stop his car right 100m after the pit lane exit as one little relais in his car broke an he could not even finish one single lap. The German pilot Hans Laub set the best lap time in the MASTERS class with his World Series by Renault 3.5 in 2:02,523 followed by the current leader in the Championship Karl-Heinz Becker.